To position itself as a regional centre for transport and electricity supply, the country has significantly improved its port and airport services to become a regional hub for freight and passengers. The port of Malabo can function as a port of call for ships from Asia and Europe to Central and West Africa, since its construction was made for ships of 16 meters draft and a cargo capacity of 10,000 containers. Such infrastructure improvements allow the country to take advantage of its favourable strategic location and access to a market of over 130 million people. In the energy sector, capacity was increased by 120 MW with the implementation of three additional turbines in the heart of Punta Europa, on the island of Bioko, near Malabo; a step that made the island have enough energy. It is expected that by 2015, Sendje a hydroelectric power plant that will supply an additional 200 MW, will generate an energy surplus for export to Cameroon and Gabon. As part of the "Coast of Africa to Europe", initiated by France Telecom-Orange which will allow 23 countries to access broadband connection to the Internet, Equatorial Guinea has recently benefited from its connection to the fibre cable. It extends over 17,000 kilometres of the African coast. The country is also improving its regulatory environment. It is in the process of establishing the National Council for Social and Economic Development and the Court of Auditors to ensure effective implementation of the Vision 2020 (National Social and Economic Development Plan for the Emergence of Equatorial Guinea towards the Horizon 2020). Recently the Government has requested support from the World Bank for the project implementation process of the establishment of the one-stop shop, ensuring swift and simplified administrative formalities for the opening and creation of new companies in our country. In recent years, Equatorial Guinea has made significant progress to strengthen regional integration. 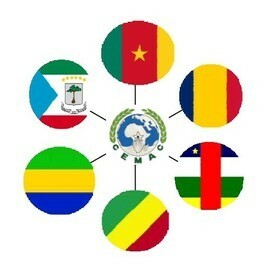 As an active member of the CEMAC, it has promoted the further development of business links between member states, and has reformed its tax policy and customs system, reducing duties restrictions and lifting quantitative restrictions. The political stability of the country makes investment and international development a pragmatic and safe option. In addition, the President of the Republic is committed to strengthening the regional role of Equatorial Guinea, developing a proactive economic policy for the attraction of the small State.